His family having long been associated with Gar Monastery prior to the Cultural Revolution, Lama Thubten Nima made great efforts to travel to the Gar Monastery where he received refuge ordination from His Eminence Garchen Rinpoche. He then received full monastic ordination and the bodhisattva vow from the great siddha Karma Norbu, and was admitted to the Gar Monastery. There, he trained in the ritual practices of the tantras of Old and New Schools and other diverse religious activities. He was selected for special training at Lho Lungkar Monastery, including the Eight Heruka Sadhanas, the Embodiment of the Masters’ Realization, Vajrakilaya, and Essence of Great Bliss. 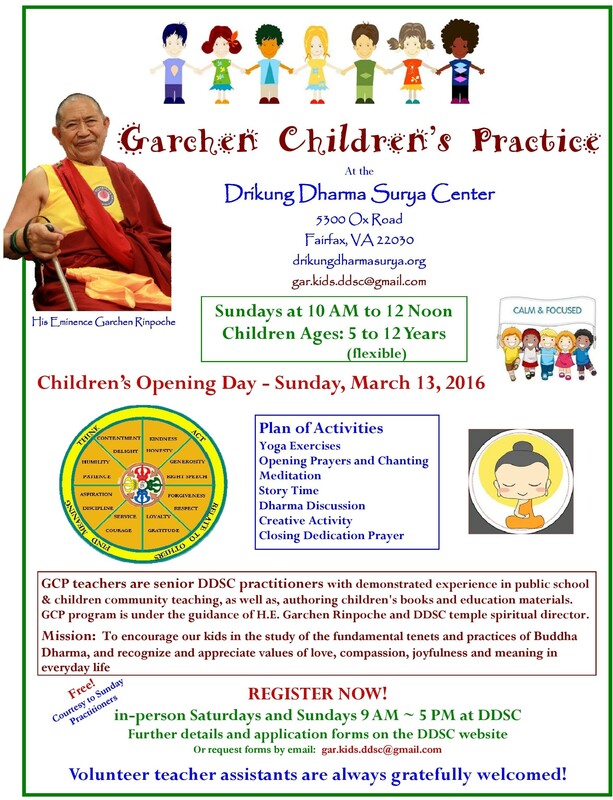 He served as chant master and, later, as disciplinarian of the Gar monastery. 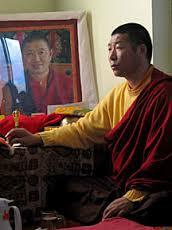 Subsequently, HE Garchen Rinpoche appointed him as Vajra Master and asked him to undertake a series of assignments to help reorganize and reestablish Buddhist practice and monastic discipline in monasteries throughout the region after, in some cases, a twenty-five year breach in the Buddhist practice tradition. These monasteries included Lho Miyel Monastery, Khargo Monastery and later Tseri Monastery in Sichuan where he reestablished the Great Accomplishment (Drupchen) practice of Yamantaka and gave other teachings. At the request of HE Garchen Rinpoche, he also served as Lama (religious teacher and minister) for two years at Tamgo Monastery in Central Tibet, the former dwelling place of Chung Dorje Dragpa, the fourth lineage holder of the Drikung Kagyu. There, Lama Thubten Nima established the summer retreat, set up a yearly teaching schedule and appointed a chant master, disciplinarian and shrine master. Later, at Gar Monastery, Lama Thubten Nima took responsibility for instructing the nuns at the Fivefold Mahamudra Meditation Center of Gargon Nunnery. In the year 2000, he went to India and received the complete Drikung Kagyu empowerments, transmissions and teachings during the Drigung Snake Year teachings. Thereafter, he went to Singapore, Malaysia and Taiwan. 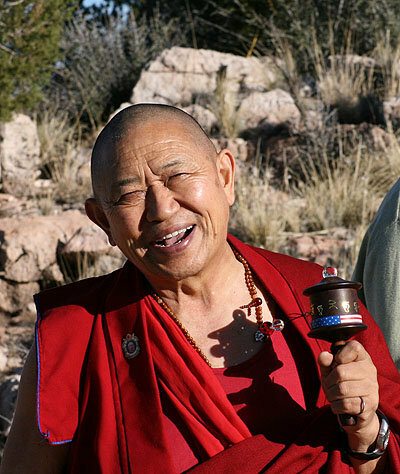 He then came to America to do a Yamantaka Retreat with HE Garchen Rinpoche. 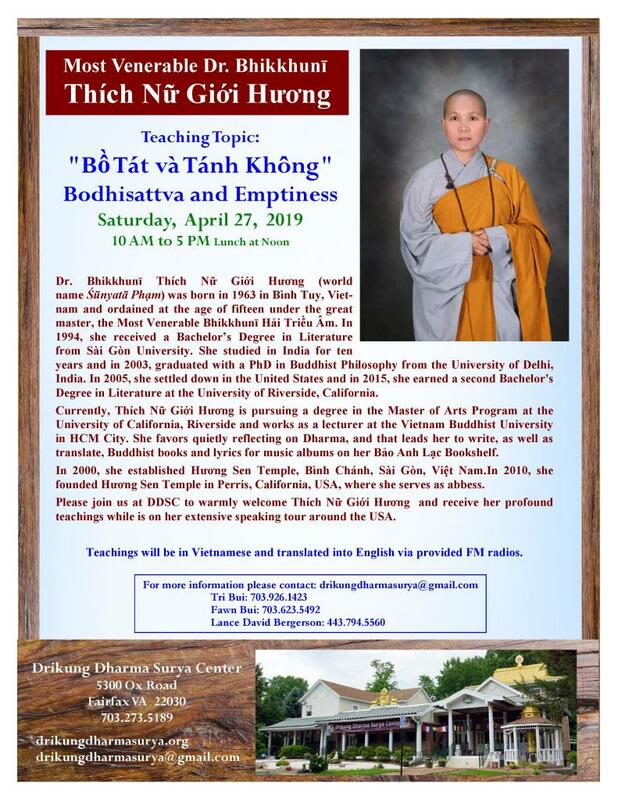 At present, he serves as the Resident Retreat Master and Chant Master for the Garchen Institute in Arizona. He is also the founder of the Drikung Rinchen Choling Foundation in Los Angeles, California, where he continues to oversee the center as the Resident Lama.